was created for many uses. 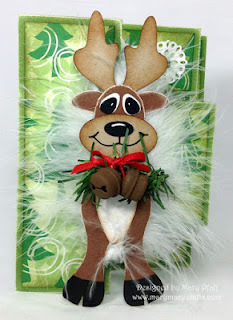 Here it is used to create this amazing Christmas Card. Be inspired to get creating! We hope each and everyone of you had a wonderful and fabulous Christmas with friends and family. We look forward to an amazing New Year with lots of new creativity and wonderful projects that are sure to inspire both the new crafter as well as the well seasoned crafty. Please join us this year as we grow and strive to keep you inspired! Many blessings to all of you from all of us here at My Treasured Kutz. Margie enjoys different types and styles of paper crafting from creating scrapbook pages to making cards to dabbling in mix media! 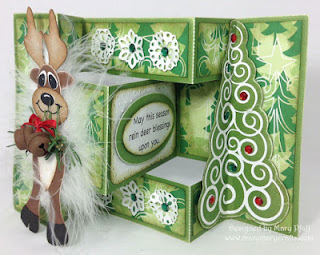 She considers herself lucky to have been a product designer for a line of chipboard products, a design team member on many craft manufacturer and scrapbook retailer teams, written articles and published artwork in several online and print magazines in the U.S. and overseas as well as on TV. 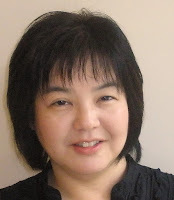 For many years, she has taught different types of paper crafting classes at home, local scrapbooking stores, consumer shows and retreats…even in Japanese! 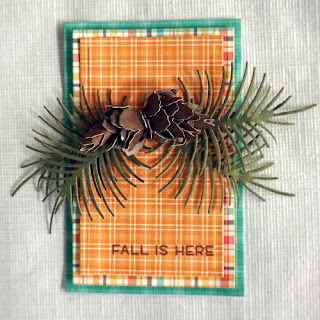 Residing in the northwestern suburbs of Chicago with her husband and their two college-bound boys, they put up with her crazy schedules and supplies of paper crafting! Whatever spare time she has in between, she enjoys reading and traveling. 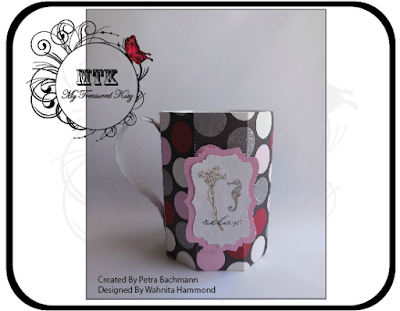 Bring a cup of coffee and visit her at SCRAPS of (my) Life. I am thrilled to be guest blogger for My Treasured Kutz, a line of detailed dies to use in your manual die cutting and embossing machine. 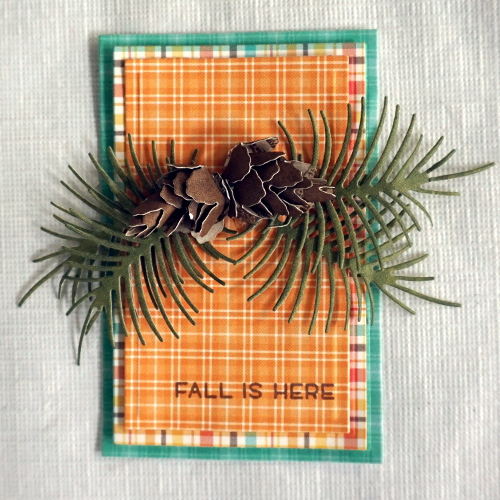 Using the 3D Baby PineCone and Pine Bough, I created a fall themed card with lots of dimension and texture. 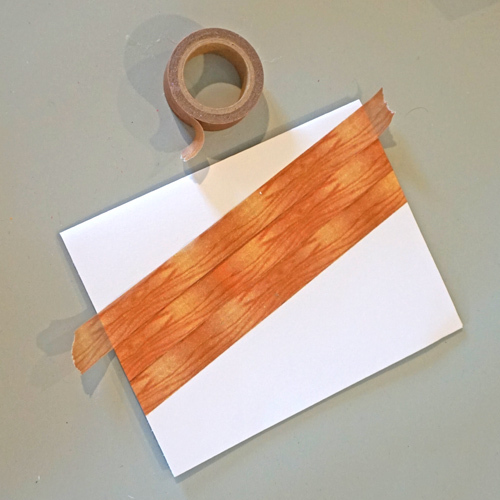 Starting with the background, I used Girlie Grunge Tissue Tape in Oak to place diagonally across my card base. 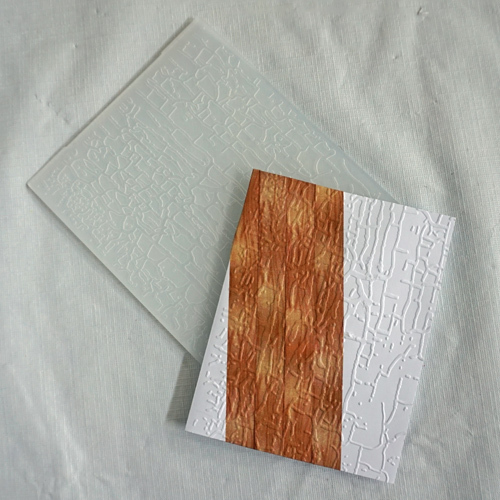 Then used my embossing folder to create texture. It turned out really cool! 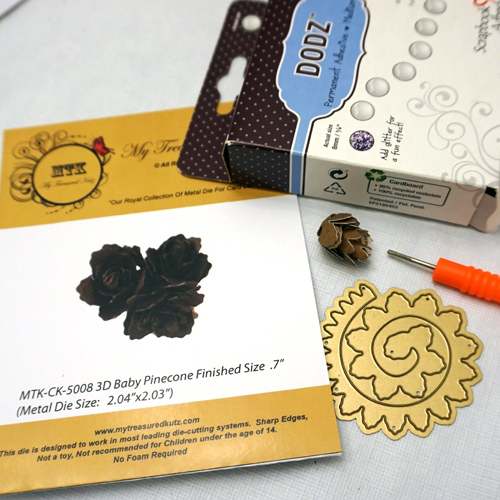 For my embellishment, I die-cut and then rolled two 3D Baby PineCone using a quilling tool. Adhere the pine cone base with Dodz Adhesives Dots Medium and pull the tip to make my pine cone shape. Next I die-cut Pine Bough from various colors of green paper for interest and dimension. I cut three rectangles in varying sizes for a layered look and adhered with E-Z Runner® Grand Refillable Dispenser and 3D Foam Squares. Note I stamped the smallest rectangle with a sentiment first. 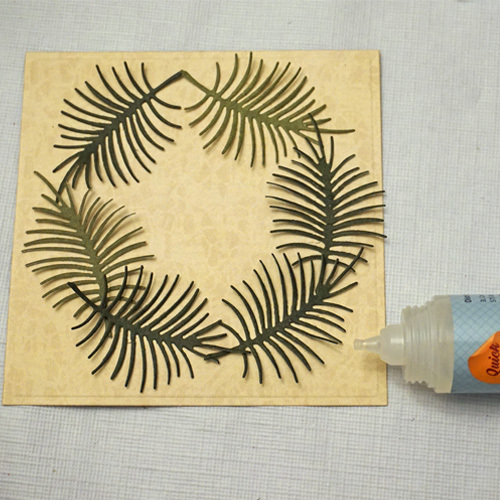 I placed two Pine Bough on each side with two 3D Baby Pine Cone on top and adhered with Dodz Adhesive Dots Medium. 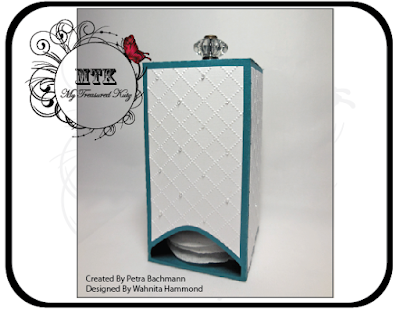 To finish the look, I added a gold sequin with Dodz Adhesive Dots Mini and it's ready to give! Michelle and Megan Hahn are a scrapbookin’-paper-lovin’ dynamic duo. Michelle has been paper-crafting for 30 years and has raised her daughter to have the same passion for paper and embellishments. Megan has been seriously scrapbooking for the last 7 years. Some of their favorite companies are My Treasured Kutz, Bo-Bunny, Authentique, My Mind’s Eye, Graphic 45, Tsukineko; just to name a few! You name it, they’ve tried it and love everything from card-making, scrapbooking, mixed media, and jewelry. The next time you visit Colorado, look them up. 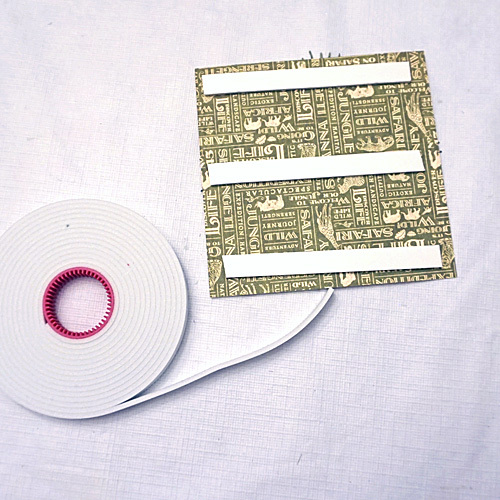 They will take you to the hottest places to shop for your favorite paper-crafting supplies. Cut the 12” x 12” Juicy Plum cardstock in half. Fold the 6” x 12” cardstock in half. 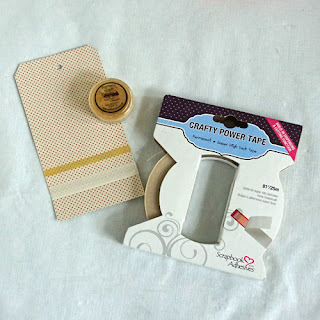 Ink the edges with Sweet Plum Memento Luxe ink pad. Adhere to cardstock, leaving the top right corner lose. leaving the top right corner lose. Adhere the Elegant Arch Arbor to the card front. 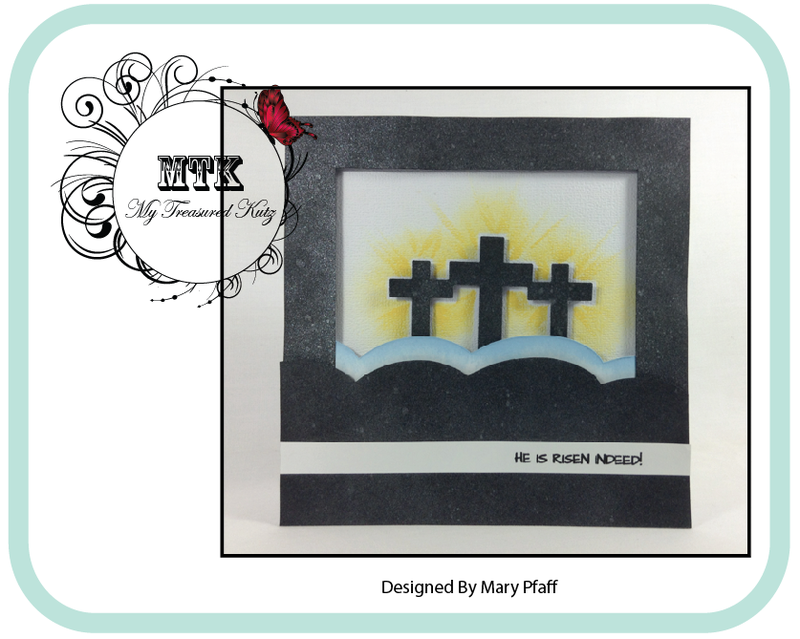 Cut and distress the “Cherish” square, layer with two colors of cardstock. left side of the Arbor and adhere. 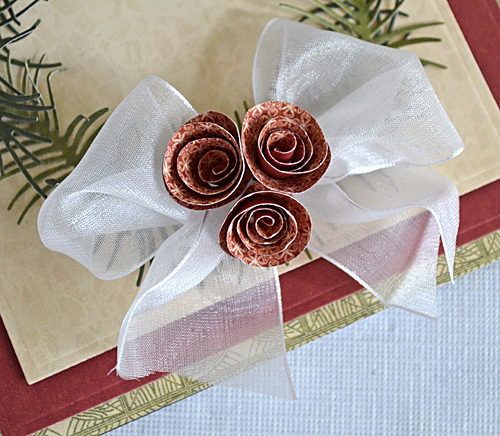 Roll the Grandiflora Rose with McGill’s paper roller and glue. To get different sizes of roses, cut the paper in half and roll. Layer the roses in the bottom left corner. Curl the top right corners over using the paper roller. roll and adhere on the top of the leaves. Curl of top corner over and adhere. 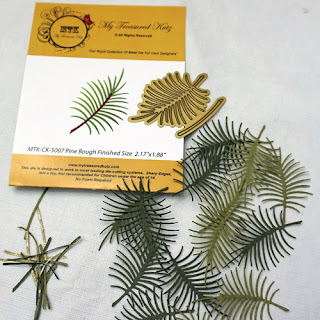 Adhere two Flourishing Foliage die cuts going in opposite directions. Cut the Fancy Leaf Flourish in half and adhere on top of the leaves. Brush Distress Crackle Paint over “Cherish” and the tips of the roses. Choose two rectangles and the hour glass, cut and distress the edges. Layer the lightest rectangle on the left side. laying it off-set to the right. 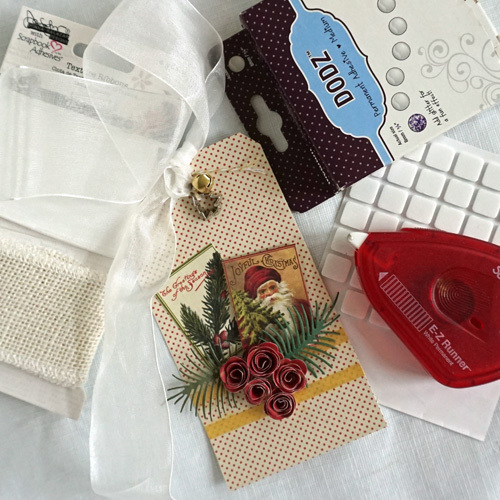 Using pop dots, layer the hourglass rectangle, laying it off-set to the left. 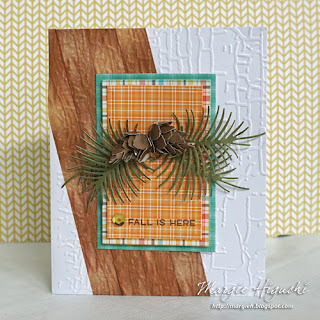 Adhere two leaf die cuts in opposite directions. 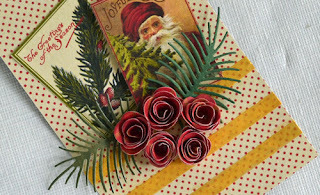 Cut the Fancy Leaf Flourish in half and adhere in a straight line. Roll three flowers and adhere along the hourglass. Tuck two smaller rose buds and the ribbon on the left side. Brush Distress Crackle Paint over the hourglass and roses. 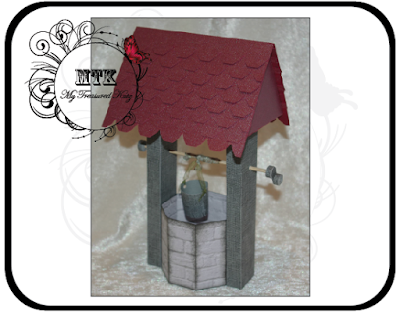 Cut Deep Perfect Plum cardstock 4”x11”, fold in half and distress the edges. and ink the edges and tops of polka dots. Adhere to the top of card. Cut a 4” circle from Juicy Plum, fold two edges over. two folded edges of the circle. 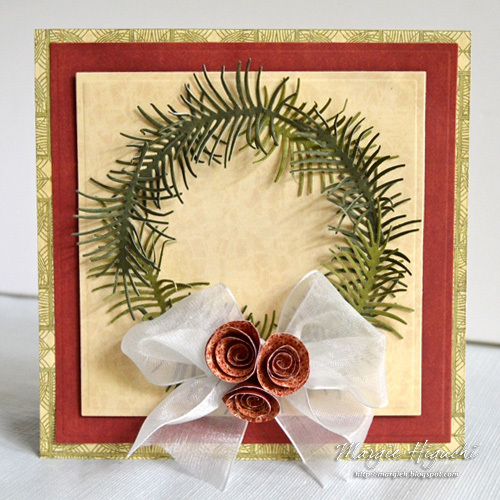 Adhere the folded circle to the top of the card at an angle to the left. Roll the roses with a roller tool and layer on top of the leaves. Cut a rectangle 1 ½” x 2 from Deep Perfect Plum, distress the edges. Cut a rectangle 1 ¼” x 2” from Pansy Dressing, distress and ink the edges. 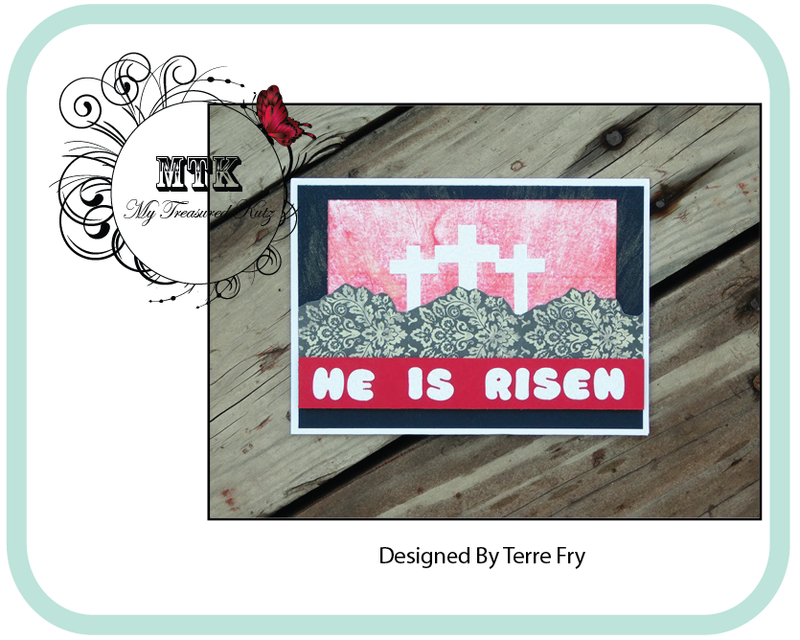 Stamp “Thank you” onto rectangle and adhere to Deep Perfect plum cardstock. 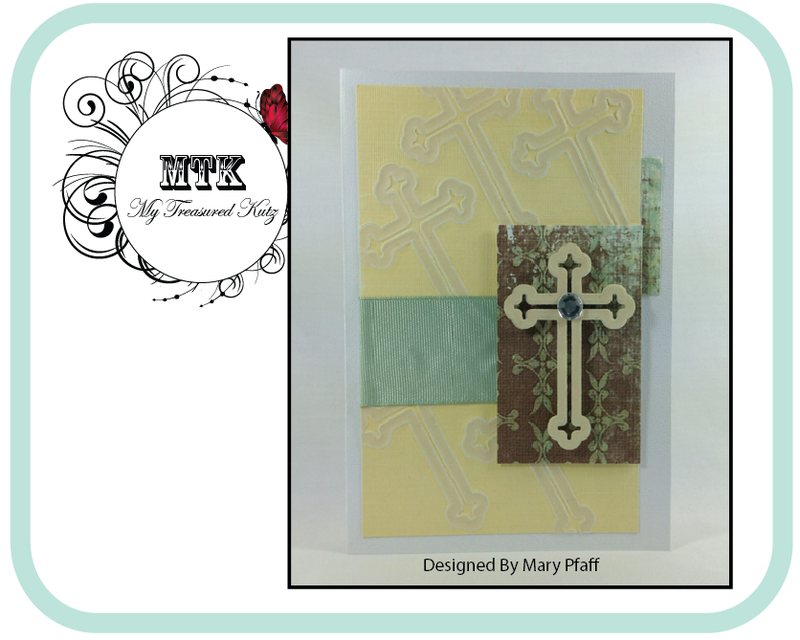 Adhere the matted “Thank you” onto card front with Pop dots. ink edges, adhere on top of Cherry Vanilla cardstock. 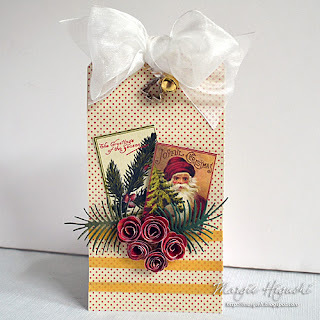 Adhere trim along the bottom of card. on the bottom left corner. and adhere on top of the leaves. We "Wish" you a Wonderful Day!